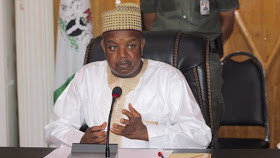 Governor Abubakar Bagudu yesterday released N724 million for students to pay WAEC / NECO 2018 exam fees. He said that his government continues to work for people's well-being and the quality of education. The governor also pledged to investigate the cases of school leavers whose results are being held back, and urged parents and guardians to always trust the government and recommend their children to study hard.